Spring is in the air-- and that means the Easter season is upon Cleveland. There are a ton of activities to check out this year-- starting in March and going all the way up until Easter at the end of April. There are Easter egg hunts, brunches, and visits with the Easter bunny just to name a few. 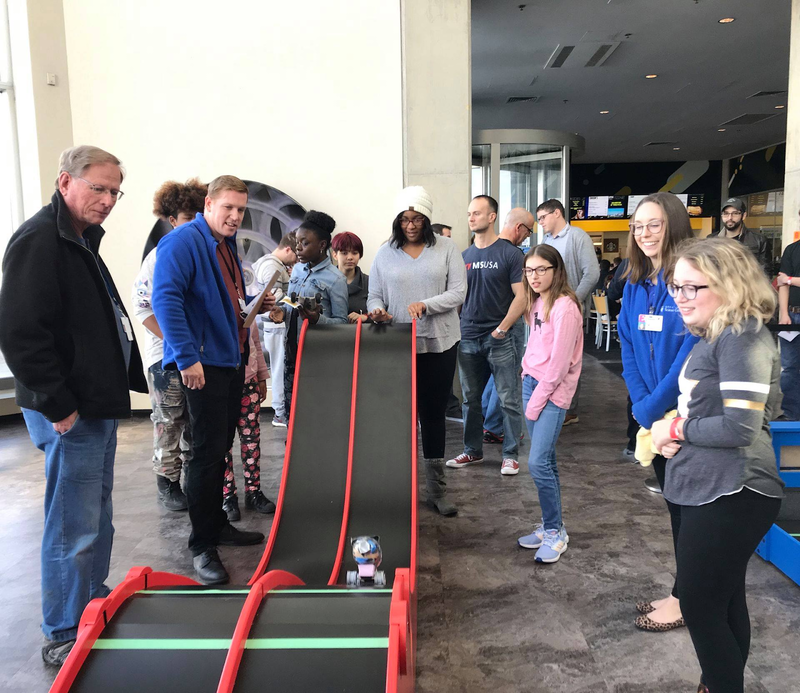 But Cleveland also has a couple of different Easter activities to offer as well-- such as an Easter bazaar and an Easter baking party with Peter Rabbit. There really is something for every weekend of the spring! 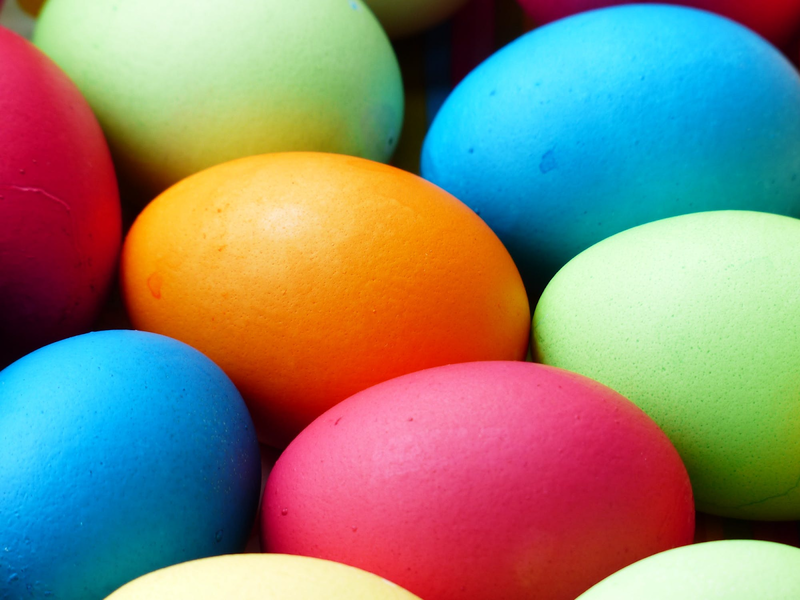 Make sure you take some time and check out some this fun Easter activities. 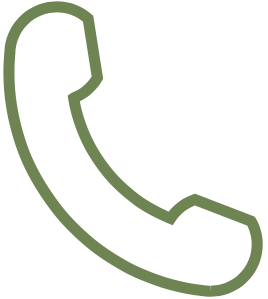 Image courtesy of Sunrise Farm. Kids can participate in the Easter egg hunt right on the farm! Be sure to pick up some farm fresh food while you’re there as well. Check out this Easter egg hunt on the farm! Sunrise Farm Easter Eggstravaganza is one of the best places near Cleveland to take part in a huge Easter egg hunt. Bring the kids out early to this beautiful farm-- where they can take participate in an egg hunt all around the property. There are plenty of places to hide those eggs-- and plenty of opportunities for everyone to find some. When the hunt is through, take some time and enjoy all this farm-- and it’s store-- have to offer. There are lots of farm fresh items for you to try-- including baked goods, jellies and preserves, apple cider, and of course some Easter chocolate and other treats. 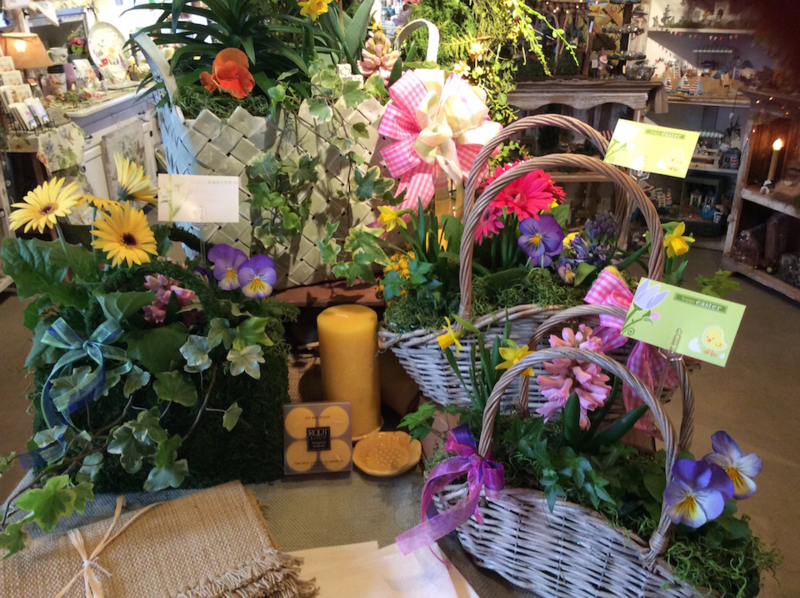 The gift shoppe will be decorated in spring fashion-- so be sure to pick up some lovely items to add a bit of spring to your own home’s decor! Image courtesy of the Nautica Queen. Hop aboard this popular river boat cruise and have a delicious Easter Sunday Brunch with the family. 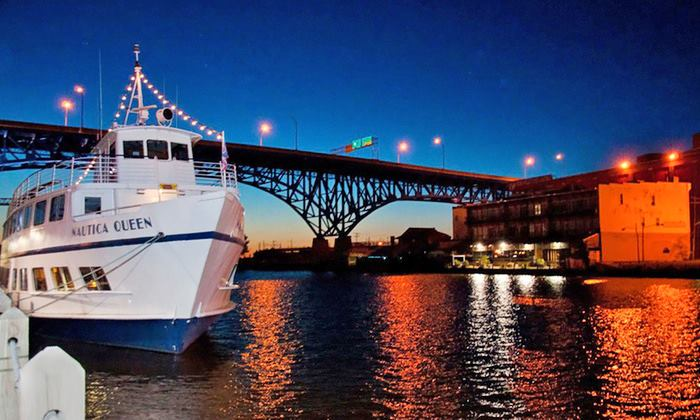 If you’re interested in Easter Brunch-- but perhaps want something out of the ordinary-- consider booking the Nautica Queen Easter Sunday Brunch Cruise. What a fantastic way to see the city-- and celebrate Easter-- then aboard a river boat cruise. You’ll go sailing down the Cuyahoga River while dining on all your brunch favorites-- pancakes, waffles, eggs Benedict, and fruit-- and of course some delicious breakfast cocktails as well. Relax and let the excellent and attentive staff of the Nautica Queen help you celebrate Easter with your family. There is even a special area where the kids can meet the Easter Bunny and get a picture as well. It’s a memory you will treasure for a long time. Make sure to book online early-- this cruise fills up fast! Come to the Great Northern Mall to have breakfast with the Easter Bunny and stay for the egg hunt as well! Visit the Easter bunny and hunt for Easter eggs! There are Easter bunny appearances all over Cleveland, but one of the best ones in the city is the Easter Bunny Visit and Easter Egg Hunt at the Great Northern Mall. Here kids can meet and greet with the Easter bunny, starting at 10am. Parents will have plenty of opportunities to get some great pictures as well. Then stay for an extra special breakfast with the Easter bunny-- where you’ll be treated to some delicious fare from BJ’s Restaurant and Brewhouse located in the Great Northern Mall. If that’s not enough, there’s also a fun Easter egg hunt as well-- with eggs hidden all over the place-- just waiting to be found. There are all kinds of cool prizes as well given to the kids who are able to find the most eggs in the quickest amount of time. Make sure to take a spin around on the All Smiles Aboard Train as well! Image courtesy of Cleveland Botanical Gardens. 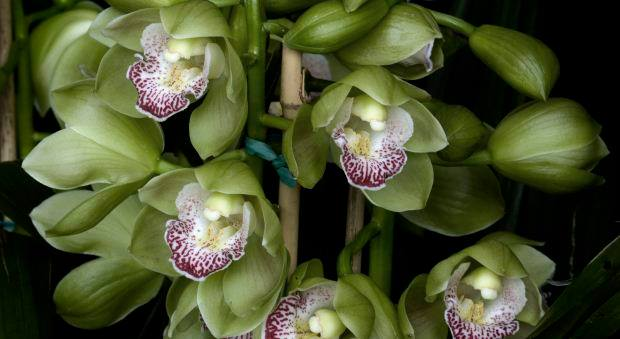 Have some fun and hunt for eggs amongst the beautiful blooms at the Cleveland Botanical Gardens. The whole family will enjoy a visit to the spectacular gardens and their annual Egg Hunt at the Cleveland Botanical Gardens. The kids can hunt for eggs of all sizes in the Hershey Children’s Garden. The kids love searching through all the garden structures and arrangements-- looking for those elusive eggs. There are all kinds of Easter-themed arts and crafts to participate in as well-- you can easily make a whole day out of this. The Easter Bunny will also make a special appearance as well, so make sure to have the camera ready when he arrives! There are two egg hunts scheduled-- due to the popularity of this event. That way, even more kids can have fun in this beautiful garden. The hunt takes place regardless of the weather-- so if it’s a rainy day-- make sure to bring your umbrella or poncho just in case. Come celebrate Easter and the old custom of pysanky at the Ukrainian Museum of Cleveland. 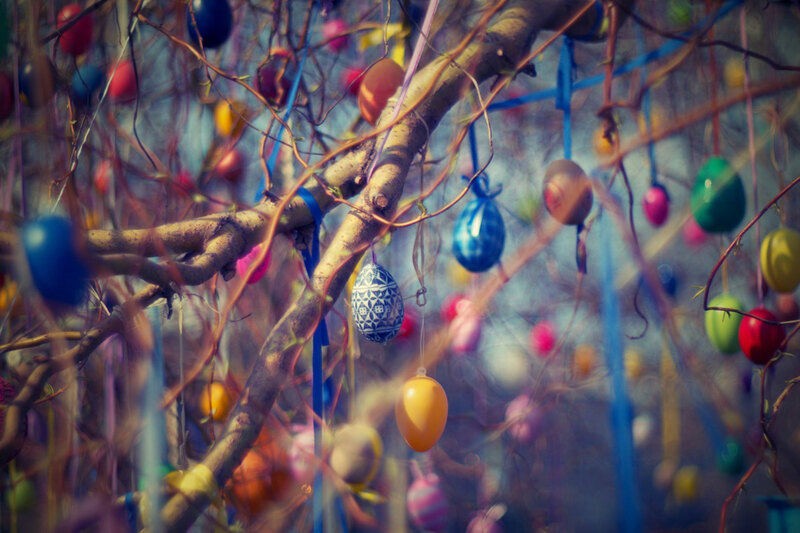 Whether or not you’re of Ukrainian heritage, you can still come down and celebrate Easter at the 25th Annual Easter Bazaar at the Ukrainian Museum. Here you can participate in creating beautiful artwork out of eggs-- called pysanky. In the Ukrainian tradition, these eggs are made in springtime-- which is the time of renewal and rebirth. You can pick up your own pysanky supplies to make at home-- or participate in one of their many workshops that are offered leading up to Easter. The classes fill up quickly, so make sure to register early. There are also pysanky for sale in their gift store-- which were made by members of the local Ukrainian community. These eggs are truly a unique gift-- either for a friend, family member, or even yourself. Image courtesy of La Malfa. What better way to celebrate Easter than at this beautiful event place-- with 700 of your closest friends! If you’re looking for a special place to celebrate Easter, look no further than the Easter Brunch at La Malfa. Bring the whole family and be treated to the excellent service and delicious food that La Malfa is known for. The brunch buffet consists of a seafood and salad bar, more than 20 hot entrees, a carving station, and an omelette and waffle station. There is literally something for everyone at the this bruch. Don’t forget the pastry and sweets area as well! 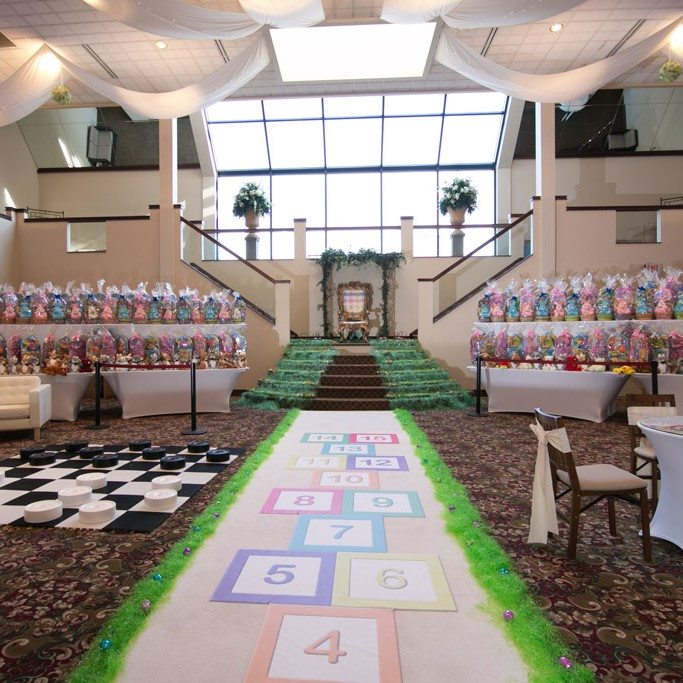 After a wonderful brunch, the kids can participate in the largest Easter egg hunt in the tri-state area-- there are over 4,400 candy filled eggs just waiting to be found by your little ones. There is also face painting, a balloon artist, and even a petting zoo. This brunch is truly like no other in the area. Make sure to get your tickets early, as this event is very popular and fills up quickly. Image courtesy of the Great Lakes Science Center. Participate in the popular Eggsperiment exhibit and learn everything there is to know about eggs! If you and your family are looking for something different to do for Easter, check out the Eggsperiment at the Great Lakes Science Center. This is a popular exhibit that the science center offers each spring in preparation for Easter. The Eggsperiment has all kinds of interesting activities and educational opportunities to learn about the humble egg. Make sure to stop in and learn about the amazing structure of the egg-- why it looks the way it does and what it is made up of. There’s also an egg race obstacle course, a Humpty Dumpty Challenge, and even a LEGO building bonanza. There are so many interesting things to learn at this exhibit, you’ll want to stay and explore all day! Image courtesy of Williams-Sonoma. Stop in to your local Williams-Sonoma and sign up for the Peter Rabbit Easter baking party with your special Junior Chef! Bake up some Easter cookies! 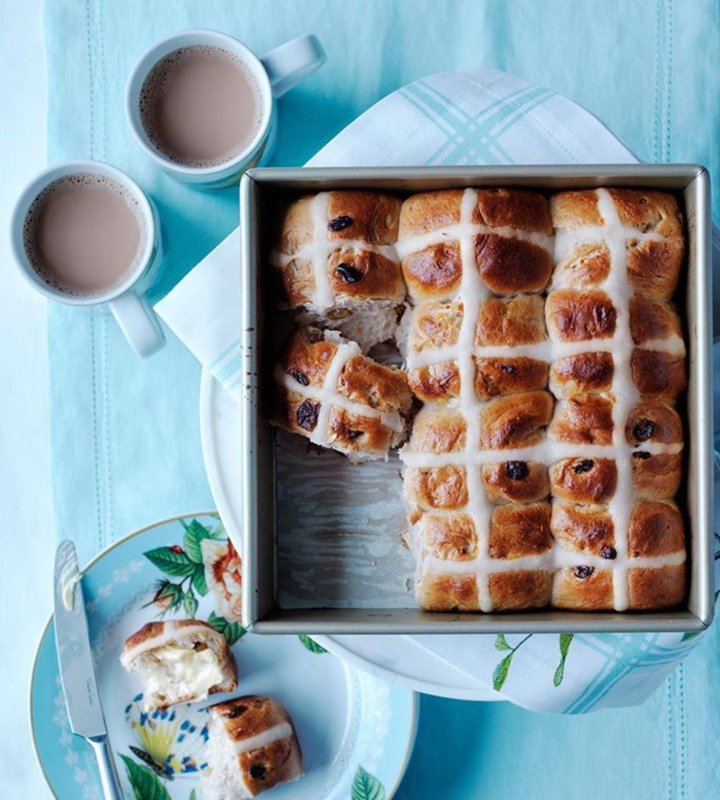 Peter Rabbit Easter Baking Party is a fantastic way to get kids interested in baking-- and prepare for the upcoming Easter holiday! Your local Williams-Sonoma is offering this class for kids ages 8-13 this year-- this would be a great way to get a head start on your Easter baking-- and let the kids have some fun as well. When you sign up, you’ll get your own Peter Rabbit cookie cutter set-- so you can continue the fun at home. Each child will have the opportunity to learn how to bake cookies-- including demonstrations in measuring and mixing methods. When the class is over, they can take their cookie cutters-- as well as the cookies-- home with them. That way you can continue the baking fun at home. 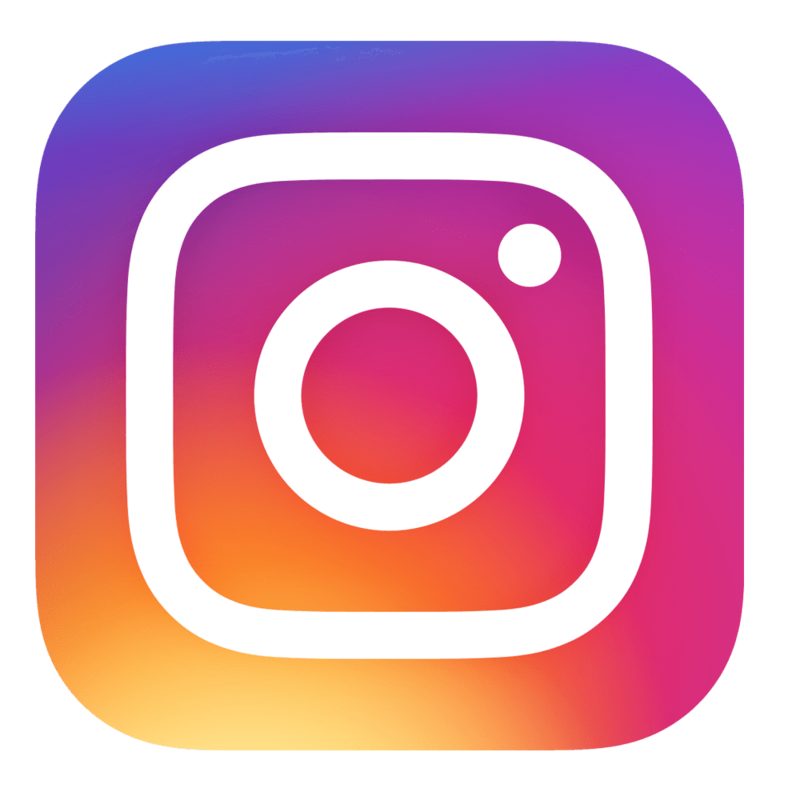 Cleveland is full of events this Easter season-- you’re sure to find something you and the family can enjoy. Whether you’d like to do a traditional Easter egg hunt-- or prefer a delicious brunch instead-- there are so many Easter options in Cleveland. What is your favorite Easter activity? Let us know in the comments!